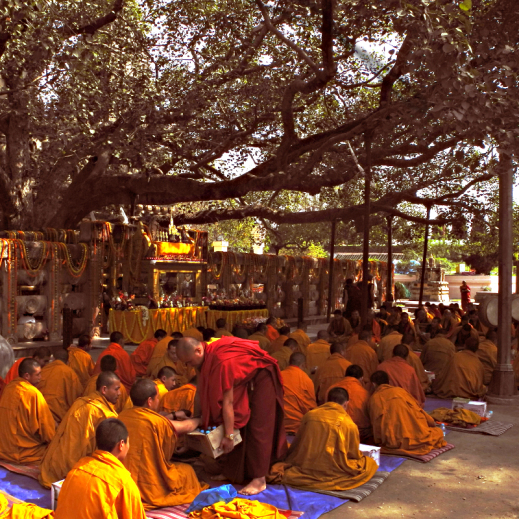 Ian travels to the tree where the Buddha is said to have achieved enlightenment, and explores the paradox of his early followers’ attitudes to vegetarianism. Of the many monks of the ancient Indian kingdom of Magadha, only one has become a global household name. Buddhism will spread ahimsa to the ends of the earth, and inspires many millions of vegetarians today. And yet the oldest Buddhist texts seem to portray the Buddha eating meat. Hear commentary from theologians from both vegetarian and meat-eating interpretations of Buddhism, the insights of world-leading historians, and a dramatisation of the moment in early texts where vegetarian Jain activists clash with Buddhist meat-eating. 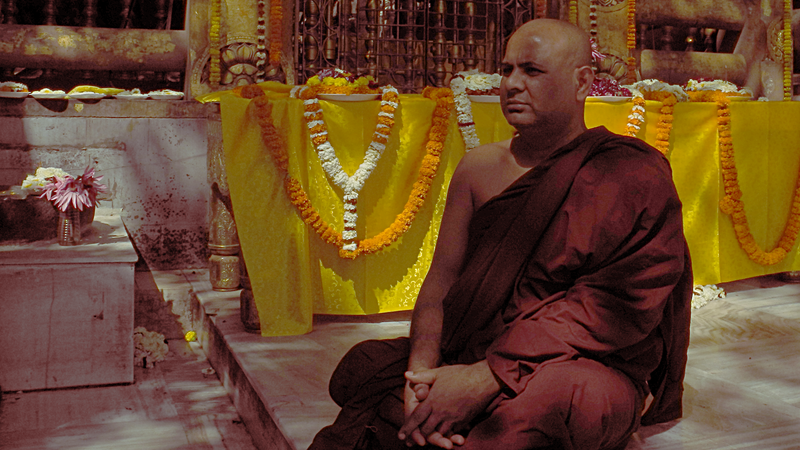 Rev Dr Varasambodhi by the enclosure housing the trunk of the Mahabodhi tree and the Buddha’s throne. I was fascinated to find out there was a whole other religion, at the time as important as the Buddhists and the Jains, that’s now almost forgotten, called the Ājīvika. But the evidence we have is fragmented and contradictory – so it was an area where one spends much time but grows only in uncertainty. Even the small picture I give in the episode only hints at the patchwork of information we have about them. The “educated guess” I mention is that of Arthur Llewellyn Basham, the twentieth century Welsh Indologist. His book “The Wonder that was India” was the leading popular history of the subcontinent. He did his PhD thesis on the Ājīvikas in the 1940s, and 65 years after publication (Basham, 1951) it is still the standard reference work. Another view I didn’t have time to include was Johannes Bronkhorst, who quite radically reinterpreted the mentions of Ājīvikas at the turn of the century (Bronkhorst, 2000). He argues that the early Buddhist texts named rival groups not according to doctrine but according to appearance. 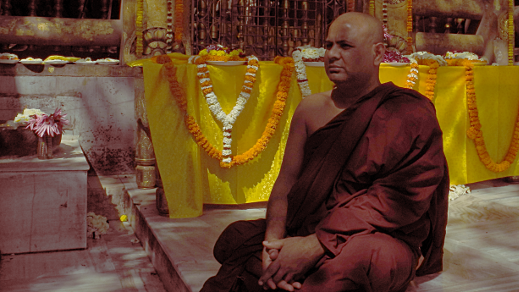 Most academics assume “Niganthā” in Buddhist texts means the Jains. (The word “Jain” didn’t emerge for many centuries.) So in his view, the words “Ājīvika” and “Niganthā” in Buddhist texts describe (respectively) naked rival orders and clothed rival orders; with the former term including not just the “true” Ājīvikas, but the Jain followers of Mahavir (who would have been naked) and the latter including the Jain followers of the teachings of Parshwa, the preceding tirthankara (Jain inspired teacher, literally “ford-maker”) who had lived centuries before. So, as interesting as this all is, all this tells us is how little we know about this period.